Consumer Protection Association award winners for continued commitment to excellent customer service and satisfaction. We are a father and son team totally committed to customer service and satisfaction. We have been established over 25 years. Very friendly, no messing around with prices. The team worked well, were tidy and overall we are really happy with the windows and french doors that we had fitted. Highly recommend as a local trustworthy company. Love my new door! Great pride in their work. Very reasonable price too. Very professional service from John and his team replacing 2 windows and bricking up to replace upvc cladding. Thoroughly recommend. Very pleased, from stat to finish the lads were very helpful and cleaned up after them. Very good workmanship. Top marks. Two lovely lads who you could let into your home with confidence. Nothing too much trouble for them. Work was excellent and they cleaned up well after the job was finished. We are delighted with our new front door. Professional, efficient fitters who left no mess. Would happily use this company again. UniGlaze did a great job from start to finish and we would not hesitate to recommend them or use them again. Very friendly and professional, cleaned up & was very tidy. Very happy with the service. Professional and efficient. They also tidied up after themselves. This firm did a window replacement 18 years ago and they are still as good as new so I had no hesitation in asking them to do this job when it was needed. Once again John and his team completed my installation on time, excellent quality product and service. Installation team very professional and conscientious, very happy with this Trusted Trader. Work carried out quickly and efficiently to a high standard. A front door and patio door installed within 24 hours. Work space cleaned after fitting by installers. Work carried out to high standard. Both fitters very pleasant. Two workmen came at time stated. They were very professional. A brilliant job was done. One very satisfied customer. Would highly recommend them. Extremely polite gentleman, tidied everything up after them, work done is to a high standard. I am very pleased and will be using their services again. We had 3 new windows fitted 2nd July. The three fitters worked hard and efficiently and were good at their jobs. We are very pleased with the results. This is the second time we have used Uni-Glaze and recommend them. Highly delighted with the service and product. I shall be pleased to recommend this local trader. The Double glazing installation was done on time, efficiently, and very helpful and friendly staff. We are very satisfied with the final product. Very friendly, efficient fitters would definitely use again. They encountered some problems when fitting the windows (not on their making), which they over came. Pleased with their professionalism and friendliness. I have used Uni Glaze several times over the last twenty years. They are a local, friendly company and the work is excellent. They always leave everything clean and tidy. I would highly recommend them to anyone. Quick quote. Professional service. Very pleased with results. Clean and tidy. Would definitely use them again. We were most satisfied with the installation and recommend the firm. The installers were very friendly, courteous and clean workers. A good job. Tom and Zak arrived promptly and were very courteous and pleasant, efficient, everything was cleaned afterwards. I would definitely recommend Uni-Glaze to anyone wanting quality products. Clean, punctual and efficient workers. Windows and doors have made a massive difference to the houses efficiency and noise levels. Communication and customer focus excellent. Genuine and realistic pricing much more reasonable than other 'big' firms. Fitters also excellent and very efficient. All waste cleared. Would highly recommend. Very polite and helpful men cleaned up after completing work. John and his team carried out an excellent installation of our new windows. They were very courteous and kept everywhere as clean as they could. Highly recommended. We're really pleased with what they've done and how they did it - from start to finish. They were clear and fair when it came to pricing. When installing they were courteous, friendly, tidy and pretty quiet considering. We've used them on a number of occasions and we'd certainly recommend them to others. First class job! Very neat and tidy. Excellent service from a friendly family business. Work was of a high standard, everything was done when they said it would be and cleared up after. Cannot say how pleased we were with the job. More than a fair price. Team that installed the door were professional, hard work, tidy up afterwards and most of all pleasant. Thank you. Gave great advice on choosing a new front door and installation process was perfect. Would definitely recommend. Used Uni Glaze at my previous property for full windows and door replacement, just moved to a new house went straight back to John and Tom for a new front door without hesitation excellent service quality fitting lovely finish. Friendly helpful family company would use again and have recommended to friends in the past and will in the future. John and his team were friendly, polite and professional from quote through to implementation. I wasn't pushed with a hard sell & the work was completed within the specified timeframe. They left the area clean and tidy, I would recommend. Arrived on time, completed the job to my entire satisfaction and left the site spotlessly clean. I would recommend Uniglaze without hesitation. I would be confident in recommending Uniglaze. Very friendly, hardworking, polite people. Left no mess, was all tidied away. Would use this company again. Very professional polite service. Quick and cleaned up after. All refuse taken away. Pleasant and helpful to deal with, worked carefully and competently. Cleaned up thoroughly. A job well done. Carried out by conscientious friendly people. Recently John and his team from Uni-Glaze fitted windows for me. I found the workmen pleasant and polite, they worked to high standards, left no mess. They arrived on time and finished at times which suited me. I would highly recommend Uni-Glaze to anyone looking for quality service and product. So pleased we chose this company to fit our new windows and doors. We always try to use smaller family businesses, as in our experience we get more personal, caring service and that was exactly what we got from Uniglaze. From initial contact, John was professional, knowledgeable and helpful. John was also involved in most of the installation work which we found reassuring, although Tom, his son was perfectly capable and professional. We're delighted with the finished job. We wouldn't hesitate in recommending them. I used Uni-Glaze in Ilkeston last year to fit new windows at the back of my house and was so satisfied with the work and used them again this week to refit new windows and door at the front of the house. I found John, Tom and Zac to be extremely efficient and the quality of their quality of work to be of a very high standard on both occasions, nothing was to much trouble and they cleaned up really well at the end of the work each day. 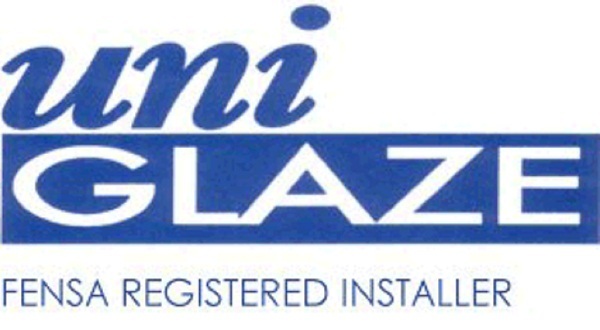 I would certainly recommend Uni-Glaze to anyone wanting new double glazing fitted. I am very pleased with the windows and the way the work was arranged and carried out. I have been impressed with Uni-Glaze Windows right from the start, professional on time and seemed to care what I wanted my front door to look like. The two gentleman who came to fit were efficient, tidy and did a grand job. The price was worth it too as I have wonderful finished article which I shall enjoy using. Highly recommend if you are looking for approachable and professional and reasonably priced products. They were professional, we sat down together over a cup of tea for them to explain what we are getting from their services. They pack up after themselves and left the house clean after fitting the windows. Really please with their attitude and they always have a smile while working. We were very impressed by the professionalism of this company from start to finish. Whenever I have have home improvements carried out I have to say I am fussy with standards of workmanship. My concerns were allayed by John, Tom and Zak. We are very impressed with the finished job. Would definitely use them again. High quality products. Excellent service. Windows & doors fitted to a superb finish. I would recommend John and the team as they were friendly, punctual, tidy and professional. Pleasant, efficient and tidy. Couldn't ask for more. Thanks. Extremely professional service, excellent products. So glad we chose this company. We would highly recommend to anyone who was wanting new windows and doors fitted. Thank you to John, Tom and Zak. Extremely reliable, excellent attention to detail, tidied up very well after the job. We needed to replace our old 1980's style patio doors and looked at a number of glazing installers before deciding to give Uniglaze a try. After a no pressure consultation with John we decided to go with Rehau profile triple glazed French doors. Uni-Glaze were a pleasure to do business with and the installation was carried out quickly and efficiently in a most professional manner. We now have great looking doors that compliment our 1930's semi. Thank you John and everyone at Uni-Glaze. A very professional job completed to a high standard, on time and for the agreed price. Uni-Glaze is a very pleasant company to deal with and I will certainly use them again. John, the owner of the business is very polite and the type of person you want in your house! He is always on time, clean and efficient! I would certainly recommend him and his son! Recommended to us. Found pleasant, efficient and professional. Areas used, left clean and tidy. The doors are brilliant, I am very happy. They arrived on time, both during the work and for the quote. They kept the area tidy and got the work done in a timely fashion. Very pleased and would definitely use them again. Good workmanship, came at the time arranged, very friendly and polite workman. A good job very well done. Excellent quality - beautiful finish left the job spotlessly clean. Work completed on time to the required specification and at a fair price. Great service from start to finish. Price a fraction of the big names that phone daily. Good product. Definitely recommended. I recently had Uni-Glaze come to fit a new front door. From the initial contact they have been very good, didn't give a hard sale, provided a full explanation of options available. After I decided to proceed they turned up on time and were very professional. They did an outstanding job fitting the door and left no mess. Will use them again in the future when similar work is needed. Great service, clean, tidy, on time, did what they said they would do. The door looks fantastic so pleased with the work they did. Very good workers - high standard of workmanship. Cleaned well after job. Would highly recommend. Be assured of a 1st class job by a 1st class team. Uni-Glaze replaced my bathroom window. Excellent quality and fabulous service from start to finish. I will use Uni-Glaze again and highly recommend. Excellent company to deal with. I would definitely use again, I cannot fault Uni-Glaze. Very good job. Nice people. Left the place clean. Very good workmanship. Good clean job. Neat & tidy. Completed the job to perfection. Punctual, organised, hard working. Good value. Uni-Glaze did a very professional job and cleaned up after themselves. John and Tom from Uni-Glaze were both extremely efficient and tidy in their work. The windows and patio door were of a very high quality and the finish was excellent. Overall I would have absolutely no problem at all in recommending Uni-Glaze to any of my friends and personally will be using them again next year. We were very impressed with the work Uni-Glaze did. The door was fitted in good time. Excellent service - job completed in 1 1/2 days with minimal mess which the guys cleaned up as they progressed. Thoroughly recommended. Very professional, efficient and polite. Windows installed were of a very good quality and extremely happy with the overall appearance. Good working partnership. Very quiet efficient workmen, clean & tidy considerate and very polite. High standard to finish. Would recommend to anyone. My husband is disabled and uses a stair lift, they were very careful and worked around him and kept all their tools out of his way. Very efficient, pleasant, cleaned up extremely well. Could not be more pleased with work or workers from 1st to last. Excellent work neat and tidy! Very, very pleased! Highly recommended! John & Tom were very good, efficient and professional. They did a good job, were trustworthy and value for money. Thank you. A friendly professional service from start to finish. We're really pleased with our new windows and doors. The fitters took their time to get the job done properly and tidied up after themselves too. Would highly recommend. Work was carried out punctually efficiently and quietly. All rubbish was taken away and area left clean. I would certainly use this company again. Extremely happy with the product, absolutely beautiful would highly recommend. The work was done quick and clean. Very polite, efficient, very pleased with the overall job. Excellent. We would have no hesitation in recommending Uni-Glaze. We are very pleased with our new windows. We will use Uni-Glaze again in the future. I have been dealing with John (Uni-Glaze) for almost 20 years for all my windows & doors and have always been satisfied with all aspects of his work. Satisfied and would use again.